Political analysts and commentators in today’s Arab press concentrate on naming winners and losers in the eight-day clash between Israel and the Islamist Hamas movement that runs the Gaza Strip. An Egypt-brokered ceasefire between the two sides, which went into effect overnight, appears to be holding. 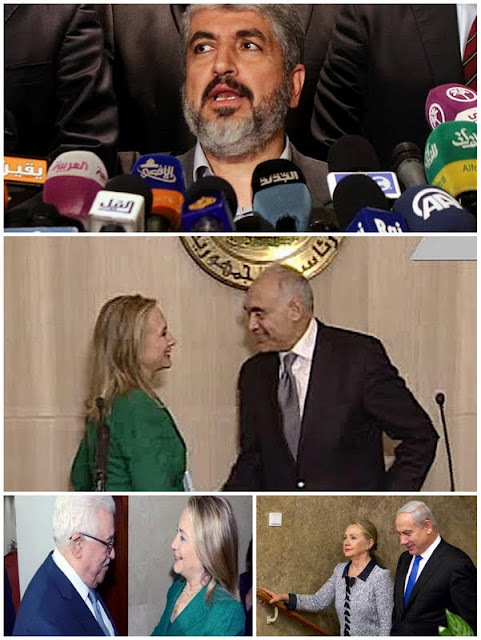 Egyptian Foreign Minister Kamel Amr announced the truce in Cairo Wednesday evening in the presence of U.S. Secretary of State Hillary Clinton who had taken part in the negotiations, first in Jerusalem and Ramallah and later in Cairo. Five Israelis and 162 Palestinians were killed in the flare-up. Health authorities in Gaza say the dead Palestinians included 42 children, 11 women and 18 elderly. They also put the number of injured at 1,222, more than half of them women and children. Under the deal (see below), Israel agreed to end all hostilities and targeted killings, while all Palestinian factions undertook to stop firing rockets into Israel and staging border attacks. Israel must also begin talks about opening Gaza's border crossings and easing restrictions on the movement of people and goods. 1. a. Israel shall stop all hostilities from the Gaza Strip land, sea and air including incursions and targeting of individuals. b. All Palestinian factions shall stop all hostilities from the Gaza Strip against Israel, including rocket attacks and all attacks along the border. c. Opening the crossings and facilitating the movement of people and transfer of goods, and refraining from restricting residents' free movements, and targeting residents in border areas and procedures of implementation shall be dealt with after 24 hours from the start of the ceasefire. c. Each party shall commit itself not to perform any acts that would breach this understanding. In case of any observations, Egypt -- as the sponsor of this understanding -- shall be informed to follow up. -- Israeli Prime Minister Benjamin Netanyahu proved to be a political novice. Instead of Gazans fleeing en masse as he expected, they stood their ground and fought him back. -- West Bankers defied the “state of paralysis” embraced by the Palestinian Authority and marched in solidarity with their kinsfolk in the Strip. -- New life was breathed into the Palestine Question, which had been eclipsed by the Arab Spring. -- The restart of attacks in the heart of Tel Aviv and maybe elsewhere in Israel. -- Restoration of the “balance of terror” between Israel and the Palestinian people.